Unlike Apple that brought out their home automation app, which provides various features and options for home automation, Android has left it to their third party app developers to provide the same features and options. However, how do you know which app to choose or if the devices you buy will be compatible with the app? Well, that is what we are checking in this article to provide a full breakdown of what Android has to offer in terms of home automation. As some of you might already know, Apple’s home automation comes with a label on the box that lets you know if the device will work with the HomeKit app or not. Many home automation companies have gone the same root and have actually been doing it for years, making it easy to shop around and find the things you need to install and control with your mobile device. We have also found that the market is fairly limited when shopping for individual devices, especially if you are limited by one app. On the other hand, you can buy devices that work with different apps, but this means you would need to adjust the items in your home with different devices. However, some hubs can be purchased that allow all the devices to connect to that hub and then be controlled by your mobile device. There are actually many additional options when it comes to home automation, which can be achieved by simply using the right apps. Developers that create home automation are also working on making their devices open to a wide range of apps, allowing a wider range of apps to use the device and provide more options. 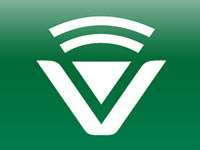 Vera Mobile is one of the apps that provide various options for home automation. The app will include all the features and information of connected devices, which can also be linked to remote locations that will be controlled via the internet. All your options appear at the top of the screen, which can be selected to access certain parts of your automated devices. For example, these options include lights, temperature, cameras, and media. The app works well with all devices and makes the changes requested within a few seconds. AuthomationHD is another app that allows you to control devices in your home. The great thing about this app is that they have included a very useful menu that provides various options and features for your home automation. Firstly, users have the option to setup room, which can be controlled individually. 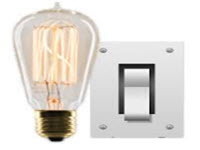 This means you can turn on the lights, AC, and anything else connected to a certain room without making any changes to the house itself. The app works a lot faster than most other, meaning if you turn off a light and back on, the app will perform the action faster than most others. The app also comes with voice control, making it even more useable. Simply access the voice control by swiping left while in the app and say what you would like to change and to which device. Once again this happens relatively fast and flawlessly. The voice control can also provide additional information about the devices connected, for example, asking it what the temperature is will result in the app telling you the current setting of any connected AC devices. The only downfall would be that the app doesn’t have a widget or shortcut to reaching the voice command feature, meaning you need to open the app before anything can be accessed. 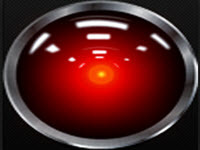 Hal is perfect for those of you who like the idea of voice control with the ability to instantly access the app and change what’s needed. It has been said that the app is a bit more difficult to set up, but it has the ability to connect to a wider range of devices and also comes with more command options. This app also doesn’t have a widget, but users will find it stays in the notification bar at all times, allow you to gain instant access. The app has the ability to connect too many different devices, which can be controlled individually or as a group as mentioned above.